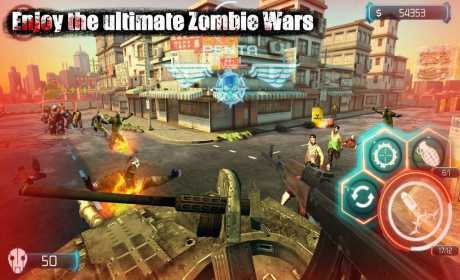 Zombie Invasion：Dead city HD is the best shooting zombie game! You will love it once you play it! All that you expect are in Zombie Invasion：Dead city HD! 8 unique guns: Short Gun, Machine Gun and Submachine Gun. 3 challenge scenes: City, Road and Sky. 3 vehicles: Hummers, SUV and Batcar. 5 kinds of jumping zombies and 10 walking zombies! 25 challenging levels and wonderful endless mode! 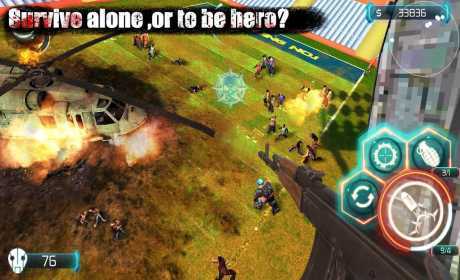 Download Zombie Invasion：Dead City HD now to experience! There are all zombies in streets and houses. Zombie waves are coming to you. What will you do to survive? More and more zombies are jumping to your car. They are trying to turn over your car. 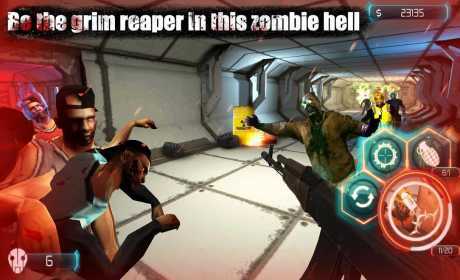 Shoot all zombies to dead to protect yourself from zombie invasion. It is a survival war between human and zombies. You will be transferred to the most dangerous battlefield to fight against zombies. Shooting zombies to dead to save the world! It the best zombie game with High definition graphics and smooth control. What’s more, you will addicted in the fierce fire and thrilling survive war! Download Zombie Invasion：Dead City HD now to challenge!